Want a beach getaway and be able to take your pets with you? 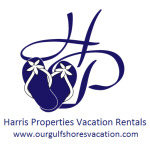 Harris Properties offers several pet-friendly beach properties available for rent on or near the sugar-white sandy beaches of Gulf Shores, Alabama. Odds & Ends, LLC is excited to partner with Harris Properties in offering pet-friendly rental homes on pet-friendly beaches. Click on the Harris Properties logo (above) for more information and property listings. Our Family (including dogs and a guinea pig) has rented from Harris Properties and look forward to going back!